Prof. dr. Jan Luiten van Zanden has been Professor of Economic History at Utrecht University since 1992. His research focuses on global economic history and its development. He studied history and economics at ‘Vrije Universiteit’ in Amsterdam and graduated in 1985 with a thesis on Dutch agriculture in the 19th century. In 1987 he was appointed Professor at ‘Vrije Universiteit’ and in 1992 at Utrecht University. 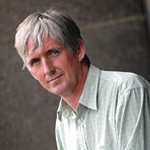 Since 2001 he has also been a researcher at the International Institute of Social History (IISH). In the past few years, he has been President of the International Economic History Association, the official organisation for the academic practice of this discipline. In 2009, he organised the World Economic History Conference in Utrecht. Prof. dr. Van Zanden was appointed member of KNAW in 1997. In 2003 he won the Spinoza Prize, the highest scientific award in the Netherlands, for his research. In 2010 he was appointed Honorary Professor on the new Maddison Chair at the Faculty of Economics and Business of Groningen University for a five-year period.